We have a great deal on the Toughlink MFi-Certified Metal Braided Lightning Cable in the Geeky Gadgets Deals store today, you can save 50% off the normal price. The Toughlink MFi-Certified Metal Braided Lightning Cable 2 pack normally retails for $59.99 and we have it available in our deals store for $29.99. Evolve past flimsy, easily torn standard Lightning cables to a more durable, smarter design with these Toughlink cables. 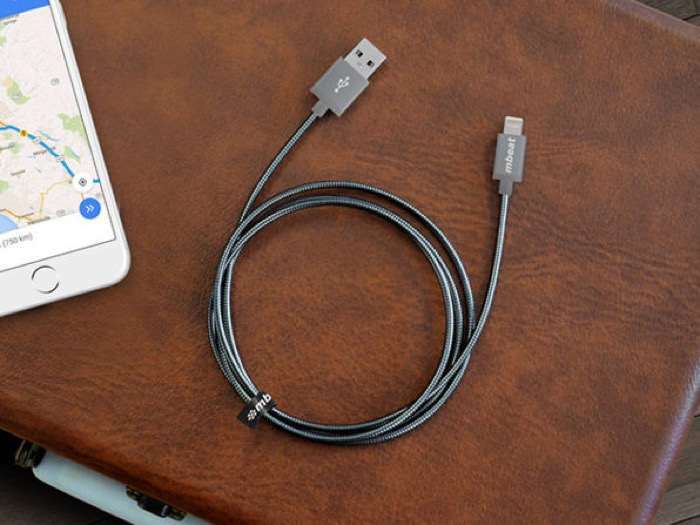 These metal braided MFi-Certified Lightning to USB cables are optimized for data syncing and charging, and boast a rugged aluminum crush-proof plug design that will make them last as long as you’ve got an iPhone. You can find out more details about the Toughlink MFi-Certified Metal Braided Lightning Cable over at our deals store at the link below.